Electronic Arts has cancelled its open world Star Wars game that was being developed by EA Vancouver, according to a report from Kotaku‘s often-reliable Jason Schreier. The game was first revealed in October 2017 at the same time EA announced the closure of Visceral Games, the developer behind the Dead Space trilogy. At the time, Visceral was working on a Star Wars game directed by Uncharted writer-director Amy Hennig, with EA Vancouver assisting in development. EA Vancouver is otherwise known for its work on the popular FIFA and NHL franchises. Following Visceral’s closure, EA confirmed that EA Vancouver assumed full development duties, although the game changed significantly in the process. While Visceral’s game was said to be an Uncharted-like linear third-person action game, EA Vancouver’s project featured an open world for players to explore. 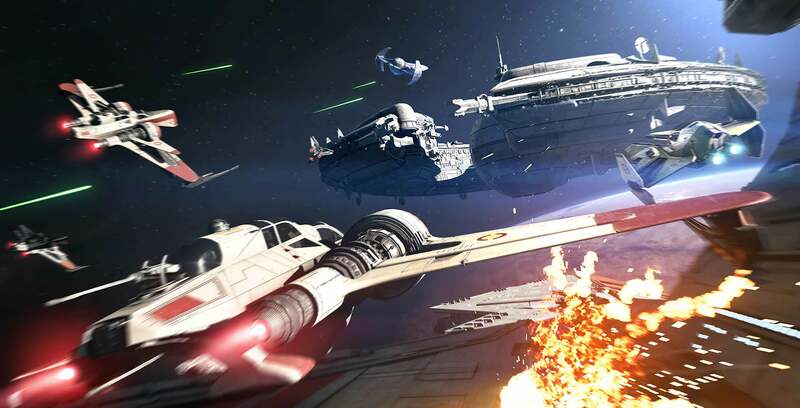 Because Orca wouldn’t likely be released for quite some time, EA’s top brass reportedly then decided that they needed a Star Wars game sooner. As a result, they cancelled Orca in favour of a smaller-scale Star Wars project aimed for a much sooner release date, likely late 2020. It’s worth noting that Schreier said this is “around the time” that he’s heard Sony and Microsoft’s next-generation consoles will launch. However, Schreier noted that next-gen plans are “definitely still in flux,” so these consoles may release before or after this time. Whenever they release, though, it would make sense for EA to release a new Star Wars game alongside them. In the meantime, EA currently has Star Wars: Jedi Fallen Order slated for release in fall 2019. Few details are known about the game at this time, although EA has confirmed that Respawn Entertainment (Titanfall) is developing the game and it will focus on a Jedi surviving the rise of the Empire.